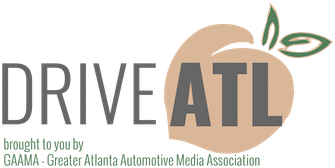 Greater Atlanta Automotive Media Association - GAAMA November Luncheon Presented by Honda - Who said sedans and minivans are dead? GAAMA November Luncheon Presented by Honda - Who said sedans and minivans are dead? Who says sedans and minivans are dead? Please join Honda for lunch on Wednesday, November 8, 2017 and get the details of the all-new 2018 Honda Accord, the all-new 2018 Honda Odyssey and some intriguing facts and figures about the sedan and minivan markets. Please enter off of Monroe and park in the lot at the rear of Park Tavern/Piedmont Room. Please tell the attendant at the entrance of the parking area that you are there for the Honda lunch and they will validate your parking ticket. Parking is included as part of the lunch.